Mindshare launched a campaign titled #HearMeOut, focusing on encouraging individuals to speak out no matter how small the idea is, in line with its 20th anniversary. The idea of #HearMeOut spawned from an eight-hour marketing hackathon on Mindshare Day on 15 February 2017, and aims to support non-profit organisation Writing Through. Among the list of partners involved in the campaign are Outbrain, Pokkt Media, Inmobi, Adcolony, The Asian Parent, Unruly, LinkedIn, Clear Channel, Facebook, Twitter, and Bareface. 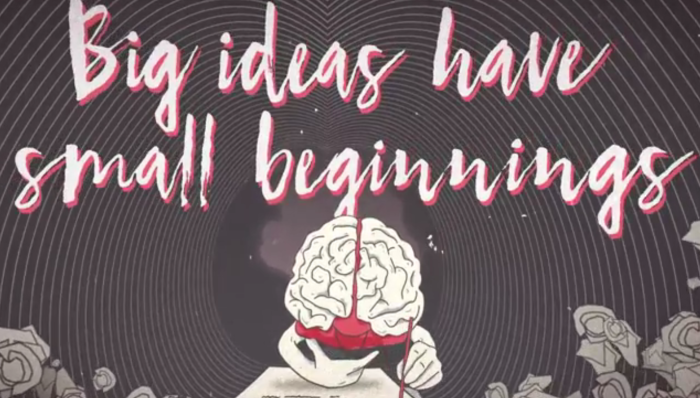 The video, titled “Big Ideas have Small Beginnings”, originated from the struggles of expressing oneself due to a lack of self-esteem or one’s circumstances. Writing Through aims to harness and release the creative thinking power of at-risk children and adults through writing, helping them develop conceptual thinking skills which in turn help boost their self-esteem. Through workshops in Singapore and Cambodia, Writing Through teaches students to think critically and conceptually, as well as gain confidence in writing more fluently and creatively in English. “It is an honour to be able to support Writing Through’s initiatives and Mindshare Day was the perfect time to mobilize our teams’ expertise and resources to tackle and create awareness around societal challenges. Mindshare’s belief in nurturing talent and elevating potential really aligns with that of Writing Through’s, and that’s why we wanted to make their ambitions a reality,” Melissa Tang, managing director, Mindshare, said. Guess who won the brand race in this year’s F1? Currently it partners with the likes of Tesco, Jaya Grocer, BIG – Ben’s Independent Grocer Jason’s Food Hall, AEON, Mydin and Gian..